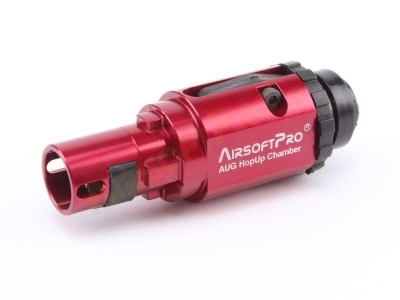 CNC aluminium HopUp chamber for AUG series. 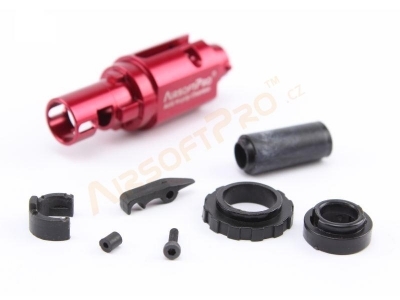 It is made of a single piece of aluminum alloy 6061- T6 with red anodized finish . It is a material with high strength , and is lightweight. Weight of the chamber and only 19,5 grams. It is not re -brand or a repackaged product of another manufacturer . The chamber was made and assembled in the Czech Republic . Made on high precision CNC machines. 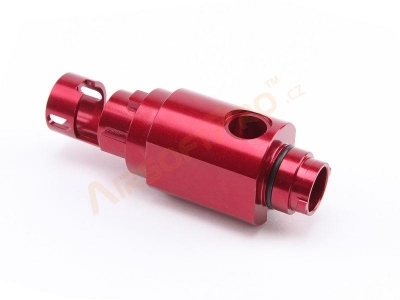 Durable body with red anodized coating. Include HopUp bucking with the pressing roller. O-ring under main adjustable ring prevent to loose of adjutsment.